Just following up about the Remote Releasement session. I felt your presence and work throughout the session, often seeing images of objects which represented what you were working on or with. I strongly felt you working on grounding me. I got very uncomfortable for a bit, but then balanced out. I saw this arcing beam of energy going back and forth between your hands and my [energy field] as if in communication. I felt you working energetically in the heart area too. I also felt this intense tapping pulse as well as other energetic movements. Peace! Ellen, THANK YOU SO MUCH for the back to back past life healing sessions! I did the 3-2-3 breathing pattern when the crying erupted again and it helped alot. I also had a TREMENDOUS, UNBELIEVABLE improvement in my flexibility with my 20 minute yoga workout... quadruple the flexibility when I did it last and NO PAIN from the injury whatsoever! Also, more [cysts] burst and healed. too. SO, I just needed to let you know how VERY much I appreciate your loving support and for your tremendous knowledge... I am so very blessed to have found you as my counselor/mentor/friend. Thank you so much for your Past Life Profile. I truly appreciate your comprehensive reading. As I read what you picked up about certain past lives, I felt twinges of recollection. You were spot on about the lives that I did recall in dreams. I did not reveal to you more details about the visions I had about these lives: yet you picked up on certain aspects. In your description, you also touched on specific things I had not told you, yet already knew! [First example] I had a VERY vivid dream I had about a particular past life from the Profile. [Second example] I did not tell you that I KNEW about the [family member] who brought us to America, yet you picked up on that. I have completed your "Metaphysical Weight Loss Program" which has been truly enlightening and liberating! I will work on the exercise regarding "Breaking the Chains to Past Lives". I think, as you may already tell, these are quite "vivid" chains that are affecting me now which I need to release. Thank you again for your gift, and God Bless! I’d like to tell you something about my path (for the Guestbook). Since my two past life readings, receiving the daily Karmic Insights, and your downloaded ebooks, my life shifted to another direction! Not only do I feel stronger and more confident about myself, I also experience an unbelievable power within to help others. Finding calming, comforting, and lovable words, help friends coping with the death of family members, writing visualizations for persons having a surgery… it is an amazing time. Ellen, your ’21 Days to Clear Your Karma’ has given me the a broader perspective about live. What I experience is what I ask for – the persons I meet are my soul’s teacher. I am so grateful that I have been guided to your webpage, Ellen. You are godsend. From the bottom of my heart. It was great to talk with you! In our healing session, you really answered some questions that I have had for a long time regarding my thoughts and beliefs. I had no idea where they were coming from, and you helped me find out. I look forward to using the techniques you sent to help myself heal. Thanks! Thank you for the time you spent with me in our healing session. Talking to you was just delightful. You helped me understand my situation much better, and with your warm and firm guidance, I already feel the grief I've been carrying starting to transform into a wonderful feeling of peace. I'm so glad to have a recording both of our talk and the mantras! Thank you from the bottom of my heart. I just loved my past life reading with you! You brought me tremendous peace of mind that I'm doing the right thing. I've been ecstatically happy ever since! Thank you for bringing me into a very good place... You can tell my guides I'm listening to them and acting accordingly! Dear Ellen, Thank you for the Past Life Profile reading. It is probably one of the most thorough I have ever seen and it certainly has insightful help within it, rather than just the "fun fluff" stuff people often look for. You have made the past life reading professional and helpful. The website itself also is so well done-intricate in fact, and that speaks to your dedication. Since I have been around for quite a few lifetimes, and that comes from true knowing, I could resonate with the overview of the actual [past] lives. You've given me alot of information that would speak to this. I will go through the reading again and especially do those exercises. Thank you. I liked your Past Life Profile: but this part made me cry: "When love is real, it is not so easily 'released'." It was worth the money to me to get that validation. I am SO sick of reaching out to try to get help only to be told it is selfish, etc and never getting that acknowledgment of what I already know too well: that [my pain] is is real! That means a lot to me! I will go do more reading on your site. I have been doing more of the exercises. I did a few awhile back. Thank you, I have received my Past Life Profile. I am quite intrigued by the results. I was certainly not expecting one or two of the results! I would like to say the profile is extremely detailed, & I will follow the advice given. I would also like to express my heartfelt gratitude in all that you have done for me. Hopefully, I shall now be able to cleanse myself of negative past life resonances. I wish you every happiness, good health & good fortune. Thank you so much for the time & effort you put into my Past Life Profile reading. I'm truly enjoying it as well as finding the information very helpful. I am amazed at the wealth of knowledge that you have made available for all to help them heal and want to let you know that I appreciate it! Dear Ellen, I love your ezine emails. They are so informative. Clearly you are an old soul. "Now faith is the substance of things hoped for, the evidence of things not seen." (Hebrews 11:1) Hope this call to perserverance inspires you. Ellen, I just wanted to say thank you for all the wonderful and insightful ezines that you send. The information is priceless. You are definitely helping on my spiritual journey. Thank you again. Just wanted to tell you your ezines are wonderful. I appreciate everyone of them. I have shared a lot of them with friends. Bless you for this site! 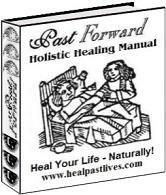 Hi Soul Friend (Ellen), The healpastlives ezines are quite interesting and really good. Keep up the good work. You deserve a pat on the back. Thanks! Thank u so much for such wonderful newsletters. I pray to the Lord Almighty to shower his choicest blessings on u for such wonderful work. I like your wisdom. Your website is great. I look forward to your ezines. You give very good advice. I have no words to thank you for sending me healpastlives once again. Dear Ellen san. Thanks as always. Light and hugs!